Choosing your newborn photographer can be a daunting task. There are so many out there, how do you choose? I’d like to help you with that. 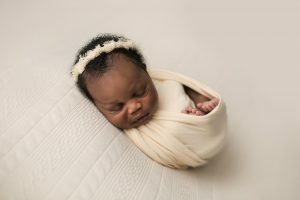 There’s the obvious questions like location, style, and budget, but have you thought much about the photographers experience and knowledge and practices in newborn safety? Has your photographer of choice had any training, both in the technical aspects of photography, and in safely handing and posing your brand new baby? As a proud, certified member of APNPI, I’d like to direct you to this list of questions to ask your photographer before considering hiring: Questions to ask your newborn photographer. My answers to these questions are below, but I encourage you to use this list to help form your emails and consultations with other prospective photographers as well! I have been working as a photographer for nearly 10 years, and began focusing my craft on newborns and families in 2014. In that time I’ve photographed well over 60 newborns, and many more babies in their first year, as well as countless families. I have done a mix of in person and online workshops focused on newborn photography. In person I have worked with Stephanie Robin on safe baby wrapping, Shelly Ferguson on safe baby posing, and Joelle Mahepath, of C’est L’amour Photography on all aspects of newborn photography. I would like to mention that Stephanie Robin is the co-founder of APNPI, and has a genuine passion for newborn safety and has extensive training as a kinesiologist and physiotherapist. She teaches from a physiologic and kinaesthetic approach focused on safe practices and handling at all times. Most recently, I attended the Uncommon Creative Collective conference, a 3 day gathering of professional photographers from all over the world, coming together to learn from some of the best newborn and family photographers in the world! It was an amazing experience! My dedication to learning and safety is never ending! I have also completed an online course through APNPI on newborn safety, and completed several online courses through The Milky Way, and Creative Live. All set ups for baby are done in a safe manner. Any buckets or props that could tip are weighted, and an extra set of hands are used to properly support baby when needed. These extra hands are removed in post production, generally called a composite. Many poses are done on a large surface specially designed posing beanbag, which provides a large, safe surface to pose baby. I have studied posing to learn safe ways to achieve the cute looks, and understand signs to look for to know when a certain pose will not work for certain babies. My studio itself is set up in a way that large props are kept away from posing areas, tripping hazards are kept to a minimum, and while the temperature is quite warm, I monitor the temperature and baby to ensure safety. My general style is a more naturally posed, and I don’t typically do suspension shots, or upright, but with that said hands would definitely support a baby if we were doing these poses, as well as many other poses I do. Often I uses dad, or mom if she prefers, as a spotter during certain poses that require spotting. At times, when needed, I do bring in an assistant. Any assistant brought in, is trained and experienced in newborn photography. Parents are always welcome to come as close, or sit back and relax, as they are comfortable with. If I, or you, were to become sick, the session would definitely be rescheduled. We would do our best to make arrangements still within that 3 week window to capture the newborn phase. If you are planning a lifestyle session, we have a little more flexibility with time. Depending on illness and circumstances, if a reschedule in a timely manner could not happen, I have a network of photographers I work with regularly and every effort would be made to have a comparable photographer complete the session. Again, the safety of baby is most important, and I would not risk exposing baby to germs at such a young age just to complete the session by myself. I am up to date with all vaccines, as are all members of my household, and get the flu shot annually. I am a current member with my certification as a Qualified Newborn Photographer, of Accredited Professional Newborn Photographers International (APNPI), an association dedicated to safety and excellence in newborn photography.